Quite a bit of obesity prevention strategies are aimed at getting people to eat the healthy stuff. But new research being published in the Journal of the Association for Consumer Research points to the possibility that this can backfire. 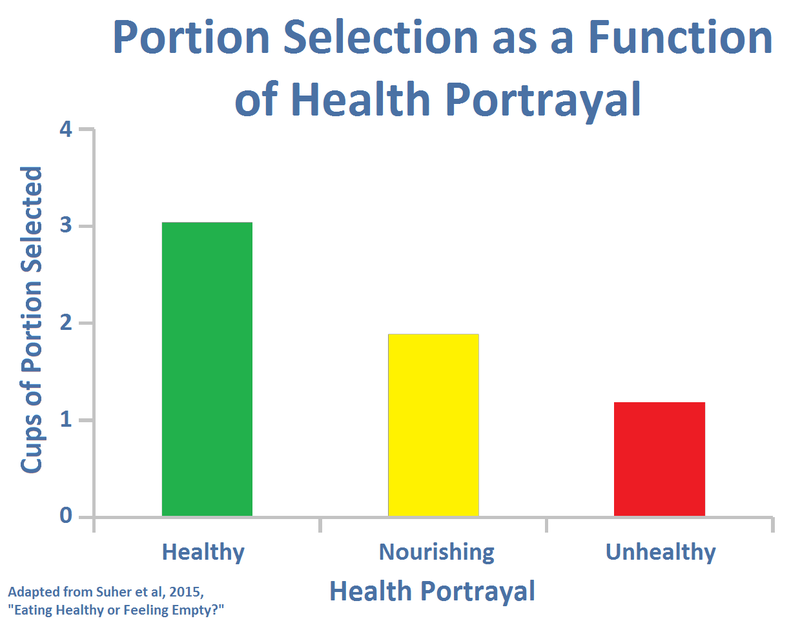 Jacob Suher and colleagues found that labeling food as healthy can have the effect of making food seem less satisfying, with the result that people select larger portions and eat more of it. They conducted a series of three experiments to evaluate how consumers perceived foods that were characterized as healthy, healthy and nourishing, or unhealthy. They found evidence that people perceived the foods characterized as healthy to be less filling. 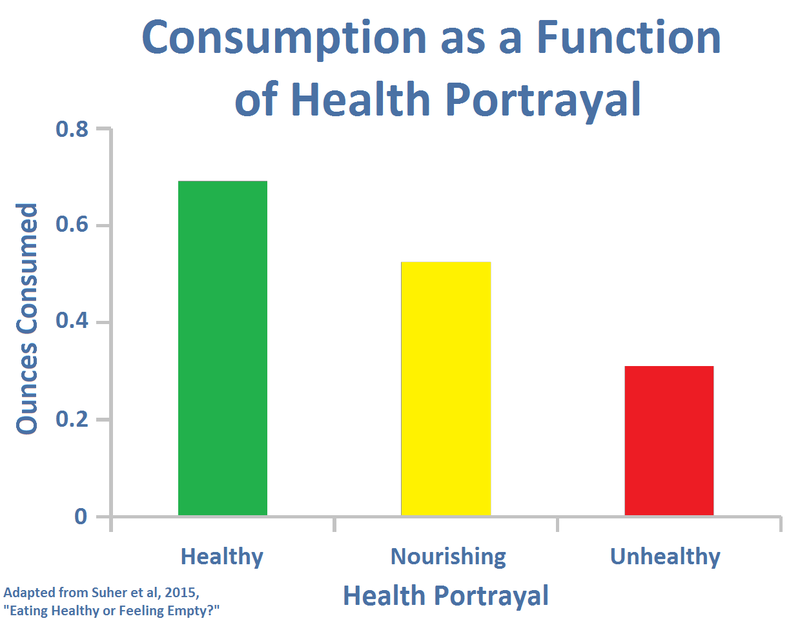 Consumers selected larger portions and consumed more of the very same food if it was characterized as healthy than they did if it was described as being unhealthy. They also found that adding a “nourishing” dimension to the healthy description reduced the tendency toward overconsumption. This finding provides one more reason for caution about labeling food with health claims. It’s easy enough to see the problems with health claims when they are purely for marketing purposes. But the same problem comes with health claims that might come from food labeling regulations. 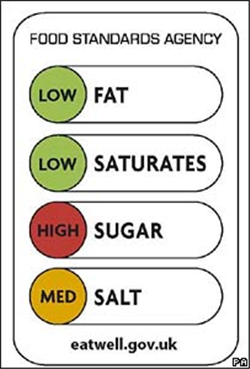 One example is traffic light labeling for the front of food packaging. The intent is to aid in better food selection. This research suggests that one effect could be to promote overconsumption — a green light to eat more. Food is food. It’s not medicine. Health claims might well have the perverse effect of promoting overconsumption and, ultimately, obesity. Maybe simply enjoying good food is a better idea than trying to turn it into medicine. 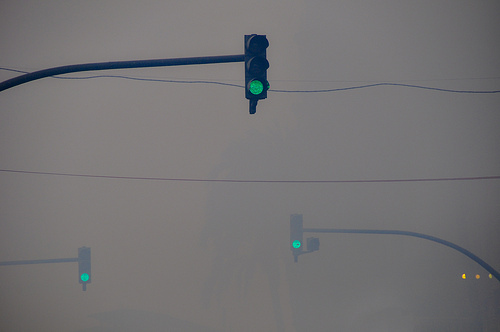 Click here for the study and here to read more from the Huffington Post. I think accurate, honest, complete labels is a good first start. People are smart and can read. Ask the SSB makers. I tend to agree with you, Allen. But the problem comes when the labels start getting mined for health claims that serve the purpose of promoting excess consumption. It’s a sticky wicket with no easy answers.